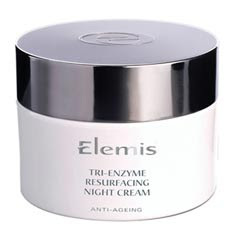 When I first heard about the Elemis Tri-Enzyme Resurfacing Facial at Bliss, I have to admit I was a bit concerned. My last experience with an enzyme facial and peel wasn’t the best -- in fact, my skin was rough and crepey for about two weeks afterward, no matter how much moisturizer I wore and how many masks I applied. But I decided to go into this experience with an open mind, because -- let’s “face” it, I’m pretty addicted to getting facials and experimenting with skincare. And am I ever glad I did! This facial is A-M-A-Z-I-N-G. It’s 60 minutes of pure, absolute bliss. I went to the Bliss Soho location (my first time there, and while I prefer Bliss 49, I’m glad I finally had the chance to check this one out). This facial claims to resurface the skin up to 75 percent and smooth up to 32 percent after just one session -- and while I don’t know if that’s true, since I have no idea whether my skin was 75 percent less smooth before – I can definitely attest to the fact that my skin is SO much clearer and softer than beforehand. Using all Elemis products, of course, my facialist went to work applying creams, masks and scrubs galore. Each felt and smelled more amazing than the next! While one mask was marinating on my face for about 15 minutes, she even gave me a jaw-droppingly fantastic upper body massage. And the extractions? Oh my GOODNESS. My pores have never been cleaner! The Elemis Tri-Enzyme Resurfacing Facial is $180 for 60 minutes. To find a location near you, visit .